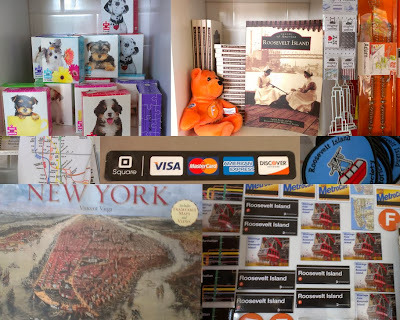 Are you looking for some Roosevelt Island Christmas gifts? 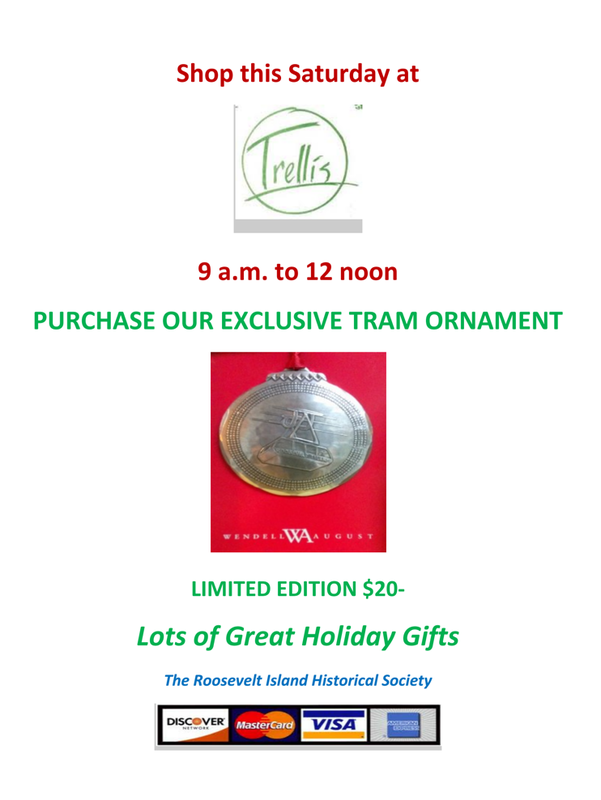 How about a Tram ornament? 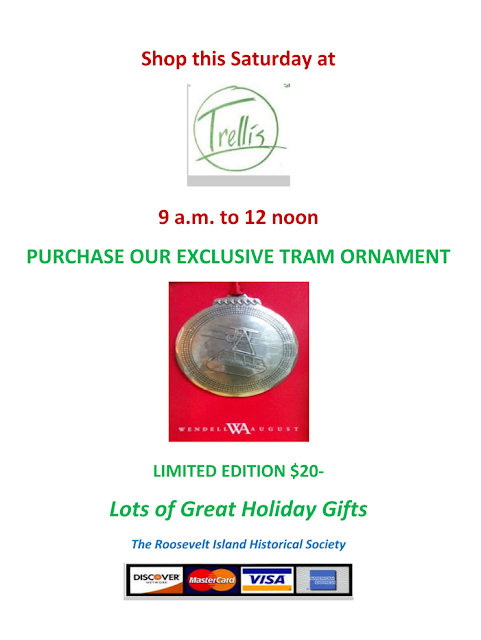 The Roosevelt Island Historical Society (RIHS) will be selling Tram ornaments at Trellis on Saturday from 9 am to 12 PM. 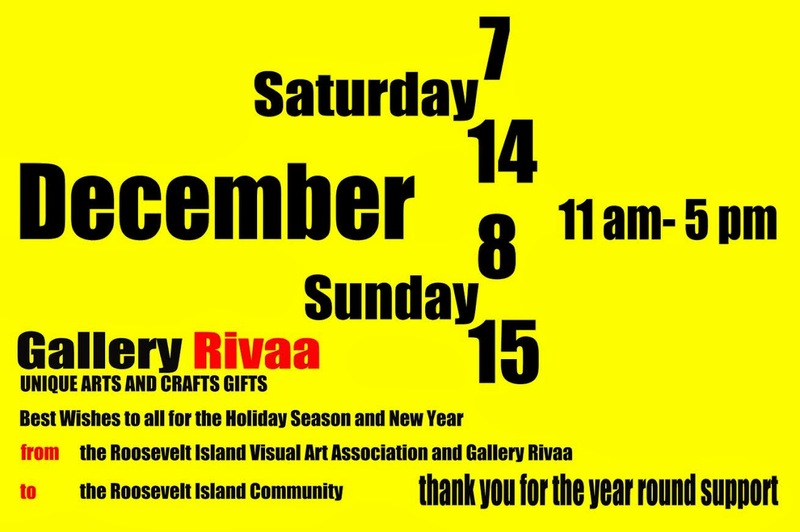 Gallery RIVAA will be the site for a Holiday Bazaar on Saturday and Sunday from 11am-5pm December 14th & 15th 2013. 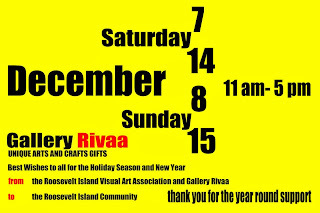 Open every day except Tuesday 11 a.m. to 4 pm.